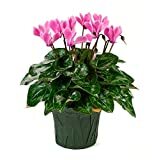 Cyclamen confusum growing geophyte of the genus Cyclamen and also known as Cyclamen hederifolium confusum, Cyclamen confusum perennial deciduous plant, used as ornamental plant, can grow in mediterranean, subtropical, temperate climate or as houseplant and growing in hardiness zone 5-10. 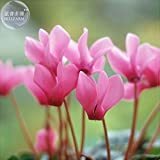 Flower color pink the flower looks like crown grow on little stems with five twisted petals . 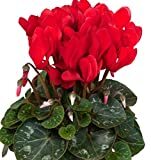 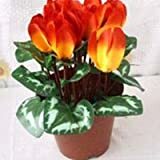 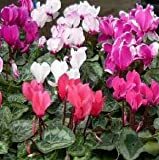 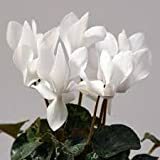 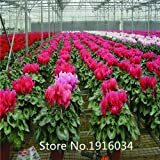 Mr.seeds The Red, White Cyclamen flower seeds perennial flowering cyclamen plant seeds for DIY home and garden - 100 pieces.